The usage of the word “fitness” in a sentence involving the name of Rafael Nadal is a bit too familiar for tennis fanatics, considering how the Spaniard is always in the news, not only for his magnificent performances but injury scares as well. 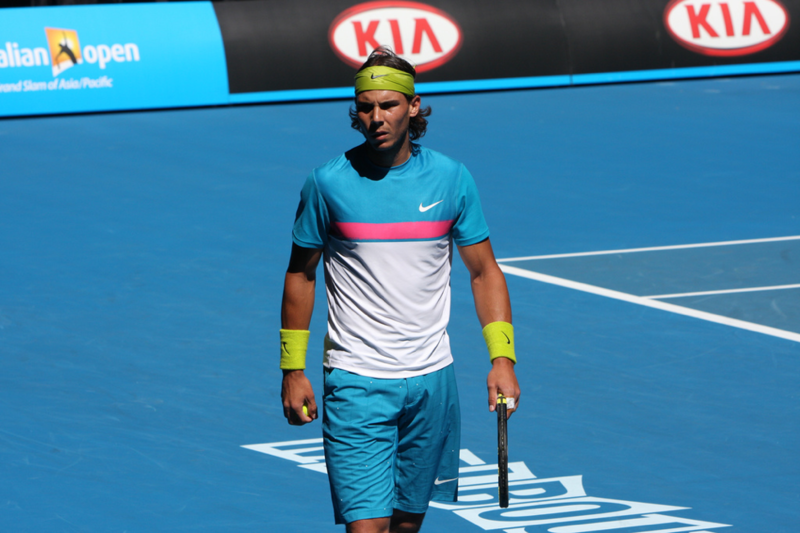 Nadal, recently, fell prey to another injury that has kept him out of the tennis court for quite a few months. Regardless of how he might be ranked number one in the sport, in spite of not having hit a ball in months, it is a fact that Nadal’s career is going downhill. Bearing all of this in mind, the fact that Rafael Nadal will be headlining a video game should not be a surprise for anyone, considering how he is still one of the most beloved icons of the game. However, the question arises: would the current “world number one” not prolong his career by focusing more on his fitness on the “real” tennis court, rather than choosing to headline video games? Nadal is 31 years old, and if he is to challenge Roger Federer’s tally of Grand Slam titles, he is going to have to get a hold of his fitness…fast! While Nadal will always be fully fit in the video game, it is a fact that the feat won’t be repeatable in the world that matters, especially when you consider how the player is unable to go even a few months without catching a niggle, here or there. Taking this into perspective, it has to be said that Nadal should quit worrying about being remembered because of a video game and get running on the path of ensuring that he is remembered as the player with the most Grand Slam title. All he needs to do is take a page from the book of his biggest adversary: Roger Federer!